Gay rights campaigner Peter Tatchell says commitment to stop bullying has to be turned into action. Many pupils in Wales feel their school is not a safe place to be openly gay, a survey suggests. The survey of 600 pupils was carried out during Safe Space, a workshop aimed at tackling homophobic bullying. Some 79% thought their school was not safe for lesbian, gay, bisexual and transgender (LGBT) people to be open about their sexuality. The release of the report coincides with the launch of a charity, the LGBT Excellence Centre Wales. 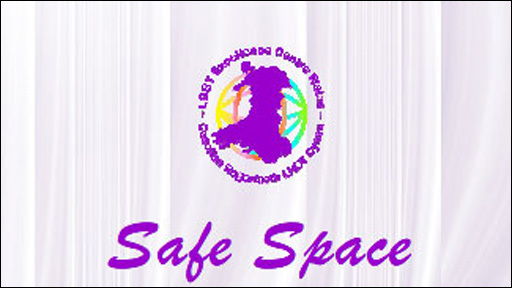 The centre is also described as a social enterprise "building on an existing community group that was running the LGBT Cymru Helpline". It will be launched by deputy regeneration minister Leighton Andrews at the Senedd, the home of the Welsh assembly in Cardiff Bay, where speakers are due to include gay rights campaigner Peter Tatchell. The survey also suggested that 66% of pupils believed their school is not safe for heterosexual students to support their LGBT friends, and 56% felt it was not safe for teachers and staff to be openly gay. Federico Podeschi, managing director of the LGBT Excellence Centre Wales, which carried out the workshops, said: "The majority of these students would have been heterosexual and therefore this strengthens even more the argument that there is a definite need to address homophobic bullying in schools. "The statistics also show that the situation is worse in Wales when comparing these figures to Stonewall's school report and this shows a clear need for the safe space programme in order to achieve cultural change on the ground, where the work is needed the most: with young people." The programme was piloted by the centre with Cardiff council, whose leader Rodney Berman said school bullying of any kind had to be addressed. But he added that "in the case of homophobic bullying there is much to be done in ensuring people are aware of all the issues and able to understand what some of our young people may be dealing with". Mr Berman said: "At its very worst homophobic bullying is undoubtedly a contributory factor to teenage suicides, so this is not an issue we can choose to ignore. "Some young people may find themselves very isolated in dealing with homophobic bullying and may feel uncomfortable talking to anyone about what they are experiencing, including their own families."